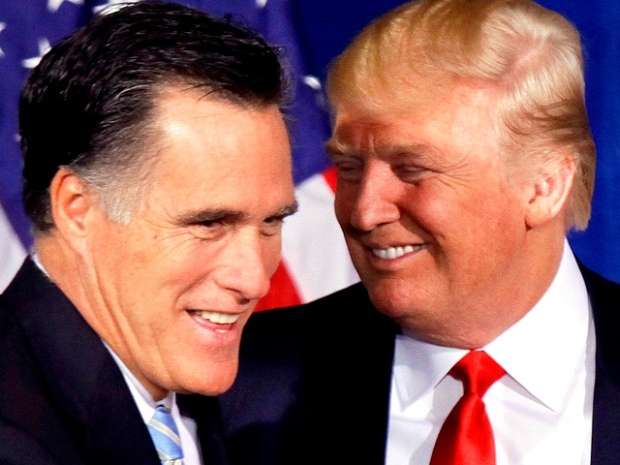 Romney Clinches the Puppy Vote on "Fallon"
Jimmy Fallon unveiled a special new presidential prediction tool Monday night: his golden retriever puppy Gary. Voters weary of election polls got a new, and adorable, presidential prediction tool courtesy of Jimmy Fallon: his puppy Gary. 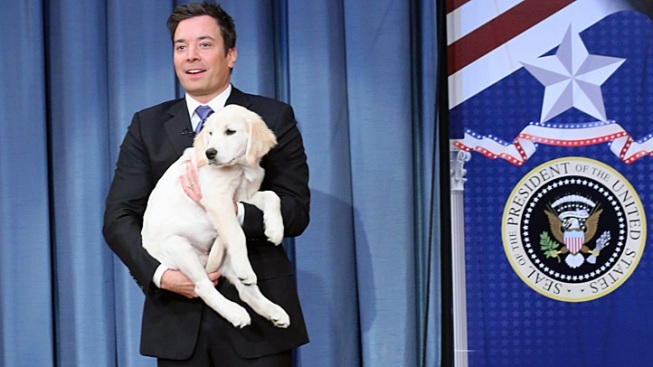 Fallon hauled his sleepy-looking golden retriever onto the stage Monday night for a special edition of "If Puppies Could Vote: 2012 Presidential Edition." 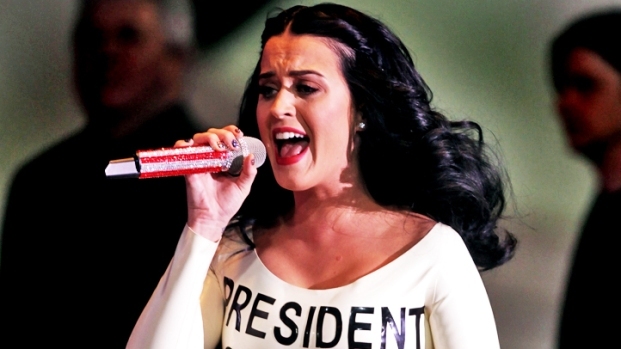 "She's got a pretty special power: she can predict who the next president of the United States is gonna be," Fallon explained. Her method: Heading for one of two bowls of kibble — a blue one labeled "Obama" or a red one labeled "Romney." After giving the disinterested pup a quick primer on the candidates' policy platforms, Fallon plopped her down and set her loose. "Gary, you must have not heard the story about Romney tying his dog to the roof," Fallon joked as Gary dug into her food.